A group of elderly men and women dance to traditional songs in Lijiang, China, demonstrating how public spaces can be an important facilitator of both physical activity and community building in Chinese cities. Photo by Buster&Bubby/Flickr. 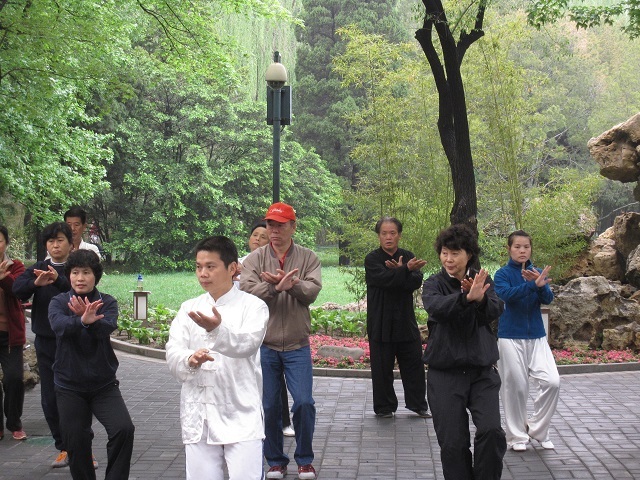 Walk through any public square or park in most Chinese cities and you’re likely to see—and probably hear—a colorful group of elderly residents dancing and singing to their favorite classical Chinese songs. The dancing grannies, as they are known, have become a permanent fixture of Chinese urban life. But they have also aroused the anger of nearby residents who complain of the noise that often runs late into the evening. Responding to this outcry, China’s national government recently announced guidelines in an attempt to regulate, but not completely ban, the dancers. Far from settling the issue, the government’s attempt to rein in the dancing has only sparked more discussion of the grannies and their loud music, and has arguably failed to deal with the chief complaint: the noise that disturbs nearby residents. Despite the complaints, we think these grannies deserve some appreciation for their contributions to vibrant urban life. Where did the grannies come from? The practice of the elderly gathering to dance in China’s public squares probably began in the 1990s, according to The New York Times. This was a period when many state-owned enterprises were downsizing and laying off workers, precipitating a rise in unemployed elderly with little to occupy their time. In recent years, however, conflicts have erupted as the dancing culture has irritated younger residents of the city who complain about the noise and disruption. There have been reports of human feces dumped on dancers from nearby buildings. In one city, a group of residents pooled funds to buy a rival loudspeaker to drown out the grannies’ dance music. It’s no coincidence that the grannies emerged around the same time China’s economy underwent a dramatic transformation. As China’s economy moved from a controlled, planned economy to a market-driven one, the elderly were largely left behind. Before China’s economic reforms, cities were typically planned around the danwei, or work unit. Citizens were supposed to live, work, and play in one fixed community. While the reforms have unleashed unprecedented economic growth and new opportunities for millions, Chinese cities have been slow to provide adequate spaces for community interaction and recreation. China’s rapid urban development has led to sprawl as well as the destruction of older neighborhoods—like Beijing’s hutongs—where human-scale spaces foster a sense of community. Strolling through ancient alleyways, observers will find residents playing xiangqi (Chinese chess) or chatting on a neighbor’s doorstep. This is also what American urbanist Jane Jacobs described in New York as the eyes on the street that contribute to neighborhood security and safety. However, this type of informal community life is typically absent from newer subdivisions of massive high-rise apartments. What can China’s cities learn from the dancing grannies? China’s dancing grannies shouldn’t be thought of as a quaint anachronism. Concerns over noise and disruption to neighbors are legitimate, and could be addressed through modest regulations—such as prohibiting dancing at certain times and in certain places. But the grannies also provide valuable lessons to urban planners and designers. 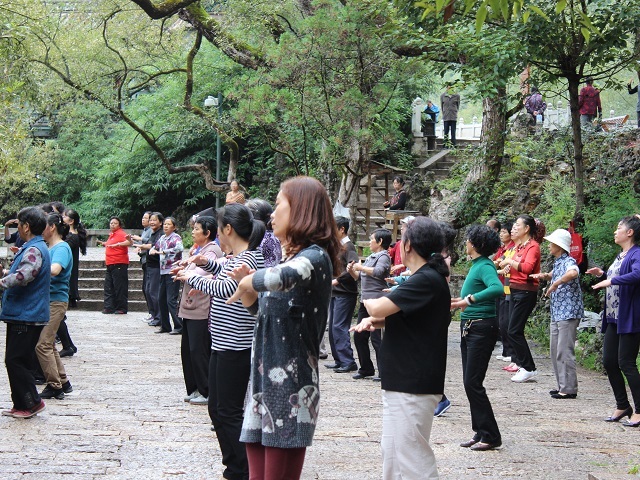 The phenomenon of the dancing grannies exemplifies the concept of insurgent space which urban planning scholar Jeffrey Hou uses to describe the urban spaces where certain (often minority) groups spontaneously exercise their right to use public space. They’re also engaging in physical activity and promoting public health, which will be crucial to creating healthier cities in China. In this sense, the grannies have responded to a failure in planning by taking matters into their own hands. It’s similar to pedestrians who, in a park or green space, create dirt paths by “voting with their feet”—indicating where a path should run. As China hopes to move an additional 250 million people into cities over the next 10 years, there is a small window of time to start designing new cities and neighborhoods that have ample public space and green space for physical activity. If cities plan for more recreational spaces, they can avoid or at least reduce conflicts between neighbors and dancers. Additionally, the actions of groups like the dancing grannies could prove a powerful and free way to foster community and interaction among urban residents, revitalizing cities.